The ideal varieties of Kista Swimming Pool are located primarily in big cities, but it's also painless to find public pools in rural locations. Thanks to some new pools submitted by swimmers like you, Swimia.com is increasing in the everyday number of stored pools. Please don't hesitate to make contact with us if you obtain any Kista Pool with inaccurate or incomplete information. Are you a normal swimmer? Have you ever practiced Aquagym in Kista? Let us know!. Do you know of any Pools in Kista that should be listed here? Contact us!. Swimming is usually a sport for all ages. It helps young people to tone their muscles and grow healthy and strong. 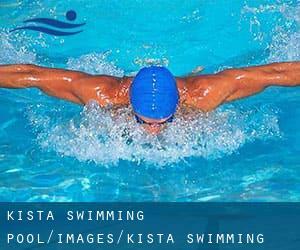 For the elderly, there's no far better way to exercise than finding a Kista Pool to escape from daily routine. Not all countries are the same, and swimming rules and regulations are changing from one country to the other. So, if this is your first time looking for varieties of Kista Swimming Pool, make sure to contact the premises before you drop by. Enjoy the best indoor pools in Kista and don't worry about the weather. These facilities are open all seasons and you can enjoy a swim at the same temperature every day of the year. If you're tired of getting eyes and irritated skin, finding a saltwater pool in Kista can be the solution. You should know that the level of salt from these pools is well below the level of salt from sea water, specifically they are talking about a tenth or less. 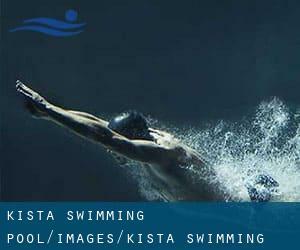 There are several factors why you should choose a heated swimming pool in Kista. The most important one relies on the importance of keeping the body temperature stable. If the water is as well cold, your body will try to warm it up and you will lose strength to swim properly. Updated on 2019 Hagstraket 9 , Spanga , SWEDEN (Postal Code: Unknown). Among all the activities offered by the center, if you are considering swimming you will enjoy 25 meters, Indoors. Just in case you want to contact this Swimming Pool before dropping by, we only know the phone number. Updated on 2019 Helsingforsgatan 1 , Kista , SWEDEN (Postal Code: 164 32). This sports center provides 25 meters, Indoors. Contact information for this Swimming Pool such as phone number and email address are number.